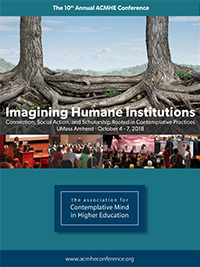 At the 2018 conference, Imagining Humane Institutions: Connection, Social Action and Scholarship Rooted in Contemplative Practices, we intend to look at ways to expand our community of students, faculty and staff, across disciplines, institutions, and beyond. We will investigate how contemplative pedagogy and epistemology can create greater richness and depth of knowledge. In this conference we will also aim to explore how we can transform the fear and discomfort that often arises in difficult conversations regarding privilege and oppression into greater understanding and the development of more effective strategies for addressing social justice issues. Presentations at the 2018 conference will explore and raise questions such as those identified below. We also encourage presenters to use the conference as a place to ask and hold questions that may not yet have answers. Students are especially encouraged to attend, and we offer a special discounted student rate. The questions below are merely guides, and not meant to be exhaustive of possible topics at the conference. Reflecting on the last decade of these gatherings, what changes have we seen in this work? What have we learned? Looking forward, how are contemplative practices being used now, what are we working towards, and where do we imagine this work will lead us? How have contemplative approaches helped us promote respect, cooperation, and justice in our institutions? How do we use contemplative practice to create community, connection, and ultimately friendship through/across differences? How do these practices help us move through feelings of loneliness and isolation in our institutions? How can we use this year’s conference to seed connections and friendships? How do we define rigor in contemplative modes of inquiry? How do contemplative practices help in re-examining Western epistemologies, going beyond third-person inquiry? What constitutes good data? What is the role of spirituality in our work? 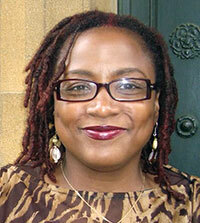 How can we use contemplative practices in dealing with issues of power and oppression? How can we facilitate loving awareness in the presence of discomfort in a way that transforms fear and anger into strength and effective social action? The ACMHE conference schedule emphasizes concurrent sessions led by scholars, researchers, and practitioners across campus departments including student groups, that demonstrate how contemplative practices are being used in higher education. These may take the form of research presentations, experiential workshops, contemplative practice sessions, performances, roundtable conversations, panel discussions, or other creative modes of sharing. 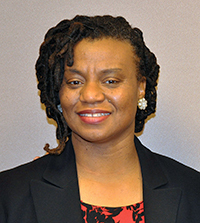 The conference also features a keynote address by Michelle Chatman, a pre-conference retreat day led by Kamilah Majied, plenary sessions, breakout groups, and opportunities for socializing. It also offers a poster session–a valuable opportunity to connect with colleagues across many disciplines while viewing summaries of recent research. The ACMHE—the Association for Contemplative Mind in Higher Education—is an interdisciplinary academic association and an initiative of The Center for Contemplative Mind in Society, a nonprofit organization based in western Massachusetts. ACMHE members receive a $50 reduction in the conference registration fees as well as other benefits; learn more.